Lee Norris and Martin Hirsch know each other pretty well, the former being the founder of Neo Ouija, a label run by the latter, but they have until now kept their respective musical projects separate. If Norris has been releasing music until a variety of monikers (Metamatics, Natch Plank, Tone Language, Norken), from ambient to techno, since the mid nineties, Hirsch’s output is more restricted, with only a handful of EPs published. The pair collaborated on a first EP, Shoot The Sun, released earlier this year before landing their first collaborative full length on Hydrogen Dukebox. Micro Don Juan started as a solo effort from Norris toward the end of 2010, but he was later joined by Hirsch. With Norris located in south England and Hirsch based in Germany, the pair exchanged music over the internet, slowly assembling the album. The result is a pretty impressive collection of dreamy techno (Don’t Feel Her Now), which is occasionally stripped down to its bare essentials (Rewire Your Thoughts), melodic house (Beyond The Breeze, Remember That Feeling) and lush ambient, which, although for the most part instrumental, incorporate vocals on Shoot The Sun and 3cielo Simplified. The pair blend the core elements of their music expertly throughout, ensuring that the pace and tone shift enough from one track to the next while maintaining a steady flow throughout. The album opens with a slightly distorted soundwave upon which gather a series of loops for a moment before a sleek beat settles in. It takes almost half of the track, Microcosm, for the whole set up to slot in, and even then, the pair regularly breaks things up by pulling the bass line or holding the beat off temporarily. A similar set up can be noticed on Beyond The Breeze, although here, the pair rely on a linear beat and groove to fuel it through its six and a half minutes, never faulting more than a few seconds. Later on, Don’t Feel Her Now opens with a pretty introspective sequence, but a fairly high octane groove and hazy electronics takes the pair into a much clubbier atmosphere, something which is echoed in the minimal Rewire Your Thoughts; if, for the duration of the album, Norris and Hirsch appear to only venture so far as the edge of the dance floor, they finally step right on it with their last composition. The pair’s clever use of soundscapes and textures contributes to give some of the more upbeat moments on here a delicate edge, but it is on their more atmospheric tracks that these really seem to flourish. This is particularly the case on the superb Shoot The Sun, which is smeared with a succession of rich sonic sequences. Migrating Desert and Micro Castaneda are slightly grittier and more complex, but here again, the pair’s combination of delicate motifs and sophisticated analogue sounds renders them wonderfully ethereal, and on 3cielo Simplified, the pair open up fully to the psychedelic textures which were previously heard, in short fragments, on Microcosm or Shoot The Sun. 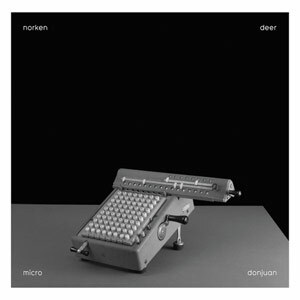 Channelling classic early to mid nineties electronica and techno into Micro Don Juan, and making good use of their sonic palette, Lee Norris and Martin Hirsch, Norken and Deer have created here a rather impressive record which flows effortlessly from one end to the other without ever losing pace or focus.